Considered the top high school prospect in the 2013 draft, the Twins selected Texas right-hander Kohl Stewart fourth overall after college stars went 1-2-3. On draft day scouting director Deron Johnson described Stewart's ceiling as "unlimited" and he signed for $4.5 million, bypassing a chance to follow in Johnny Manziel's footstep as Texas A&M's quarterback. Stewart had a great pro debut with a 1.35 ERA and 24/4 K/BB ratio in 20 rookie-ball innings. He moved up to low Single-A last season and on the surface Stewart had similar success, posting a 2.59 ERA in 19 starts and holding opponents to a .233 batting average. However, he managed just 62 strikeouts in 87 innings, struggled to maintain peak fastball velocity, and was shut down with shoulder problems. High school pitchers make risky top-10 picks for a reason and Stewart failed to crack Baseball America's annual top-100 prospects list after placing 52nd last year. Along with the sub par strikeout rate he did induce plenty of ground balls and allow just 17 total extra-base hits in 360 plate appearances, so if the shoulder issues prove minor Stewart's first full season was hardly a disaster. If not for the hype attached with being a top-five pick simply holding his own against low Single-A hitters as an 19-year-old with 20 post-high school innings under his belt would be very encouraging. Acquired from the Nationals in exchange for Denard Span two offseasons ago, Alex Meyer was the 23rd pick in the 2011 draft out of the University of Kentucky and the 6-foot-9 right-hander with a mid-90s fastball has a 3.14 ERA with 420 strikeouts in 364 innings as a pro. Last year he made 27 starts at Triple-A and struck out 153 in 130 innings, leading the International League in strikeouts and strikeout rate. Yet he's already 25 years old and hasn't debuted in the majors. Poor control and some nagging arm issues have certainly delayed Meyer's arrival to the majors, but when a last-place team has a top-50 prospect make 27 starts at Triple-A as a 24-year-old that rightfully raises eyebrows. For some context: In the majors last season 750 games were started by a pitcher younger than Meyer and he's less than six months older than Madison Bumgarner. Meyer is a very good prospect who's almost too old to be considered a very good prospect. Meyer has an overpowering fastball that approaches triple-digits, his slider and knuckle-curveball receive praise, and his changeup is said to be improving. And coming from a 6-foot-9 frame adds a little extra to every pitch. If he can stay healthy and harness his dominant raw stuff Meyer has top-of-the-rotation potential, but shifting to the bullpen to unleash his fastball even further gives him a late-inning relief role to fall back on if needed. Jose Berrios was the Twins' "other" 2012 first-round pick, going 30 spots after Byron Buxton in the compensatory slot received for losing Michael Cuddyer via free agency. He's six-foot-nothing on a good day, but Berrios regularly works in the mid-90s with his fastball and complements it with a good curveball and changeup. Not yet 21 years old, he spent much of 2014 at Double-A, made a cameo at Triple-A, and was named the Twins' minor league pitcher of the year. Berrios dominated high Single-A hitters to begin last season, starting 16 games with a 1.96 ERA and 109/23 K/BB ratio in 96 innings while holding opponents to a .218 batting average. He was one of just three 20-year-olds to make at least 15 starts in the Florida State League and then in July he moved up to Double-A, where he was the youngest pitcher in the Eastern League to throw more than 40 innings. Even with a poor season-ending start at Triple-A included his overall numbers were brilliant for a 20-year-old, with a 2.77 ERA and 140/38 K/BB ratio in 140 innings. Berrios is often overshadowed within the Twins' system, but he'd be the No. 1 prospect for a lot of teams and could be knocking on the door to the majors in the second half. It's subjective, of course, but Berrios' mix of upside and polish makes him arguably the Twins' top pitching prospect since Matt Garza in 2007. As a 20-year-old Miguel Sano destroyed Single-A and was one of the best hitters at Double-A in 2013, hitting .280/.382/.610 with 35 homers and 65 walks. Last spring he arrived in Fort Myers on the verge of the majors, but elbow problems that first popped up during winter ball worsened early in camp and Sano underwent Tommy John surgery. He missed the entire season, losing a crucial year of development at age 21, and must now re-establish himself as an elite prospect. Sano's chances of sticking at third base always seemed iffy given his 6-foot-5, 250-pound frame and now his arm strength, which had been his main asset defensively, may be diminished by the elbow surgery. The good news is that Sano's upside offensively is high enough that even being forced to move from third base to right field or first base would leave plenty of room for stardom, although he certainly also has lots to prove at the plate following a lost year. You won't find prospects with more power potential than Sano, but his .268 batting average and 286 strikeouts in 252 games above rookie-ball are possible red flags. Or at least reasons to pause dreams about Sano turning into the next Miguel Cabrera. There are only six active right-handed hitters with a batting average below .270 and an OPS above .800: Edwin Encarnacion, Jose Bautista, Nelson Cruz, Josh Donaldson, Carlos Quentin, and Mike Napoli. This time last year Byron Buxton was MLB's consensus No. 1 prospect after hitting .334 with 49 extra-base hits, 55 steals, and 76 walks between two levels of Single-A as a 19-year-old. Then a spring training wrist injury that was supposed to be minor knocked him out for most of the first half. 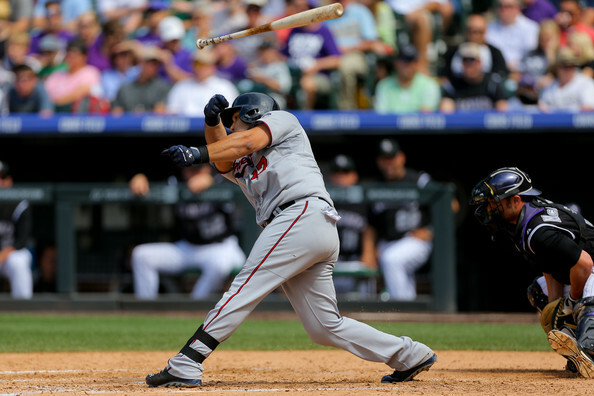 He returned to Single-A for 30 games and hit just .240, at which point the Twins promoted him to Double-A and he suffered a concussion from a brutal outfield collision in his first game. 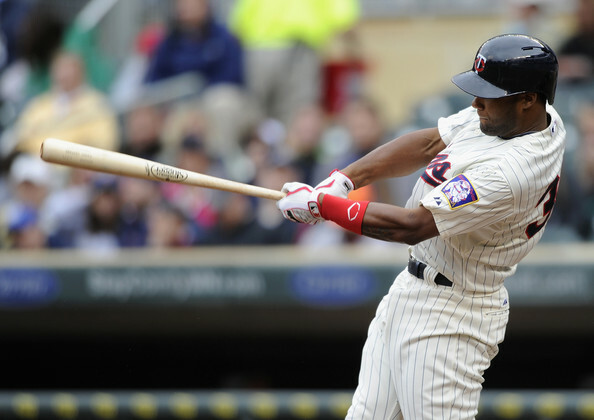 While not a totally lost season like Miguel Sano experienced, Buxton played poorly when not sidelined by two significant injuries and now faces the same post-concussion question marks that loomed over Joe Mauer, Justin Morneau, and Denard Span. The good news is Buxton is still just 21 years old. 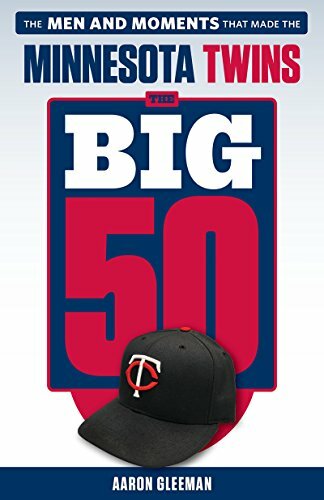 He'll begin this season as one of the youngest players at Double-A or Triple-A and could be the first 21-year-old with 100 plate appearances for the Twins since Mauer in 2004. 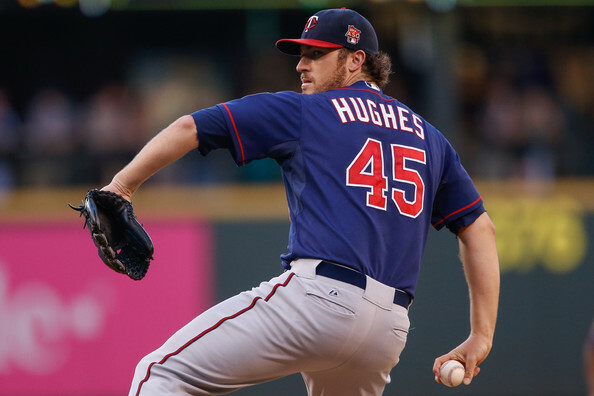 Thanks to the rough 2014 he's no longer MLB's consensus No. 1 prospect, but Buxton still claims the top spot on several prominent lists and holds a top-three spot everywhere. Upsides simply do not get much higher than a Gold Glove center fielder with a middle-of-the-order bat and 50-steal speed, and before the injuries he showed more plate discipline and power than expected in the early stages of his development. He has franchise-lifting talent if he can just stay healthy. 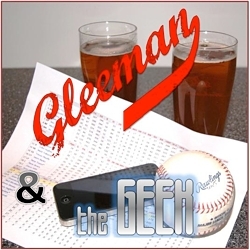 For a lengthy discussion about what to expect from Miguel Sano following a lost season, check out this week's "Gleeman and The Geek" episode.